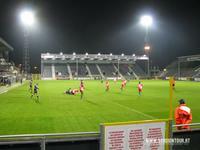 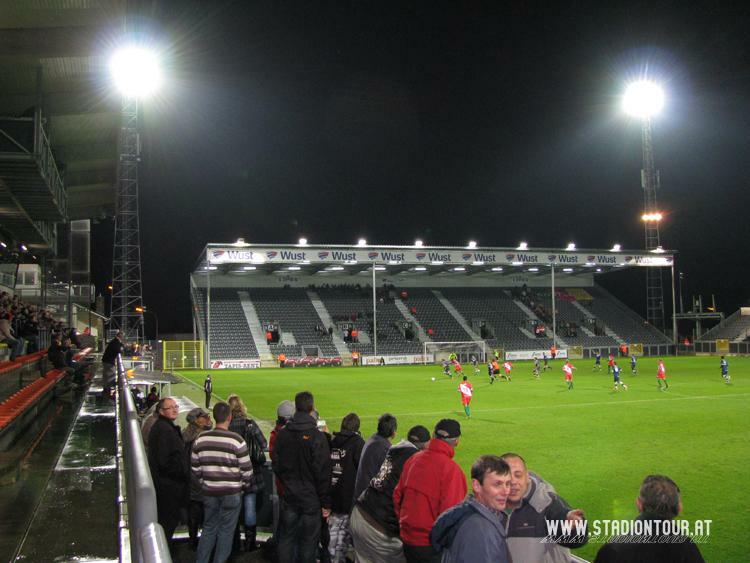 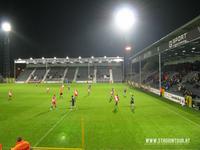 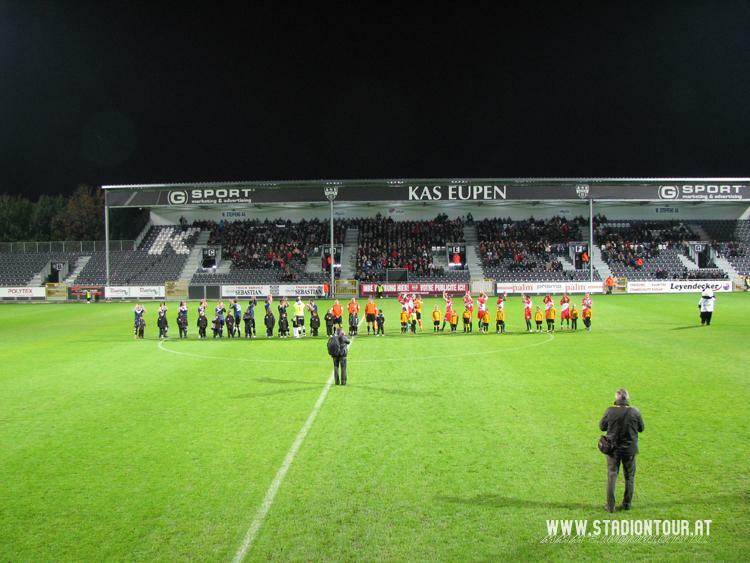 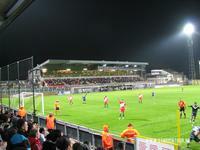 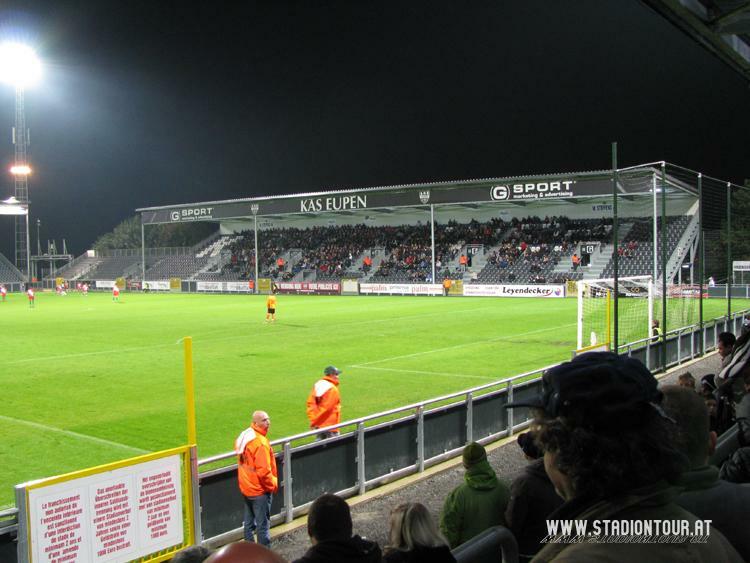 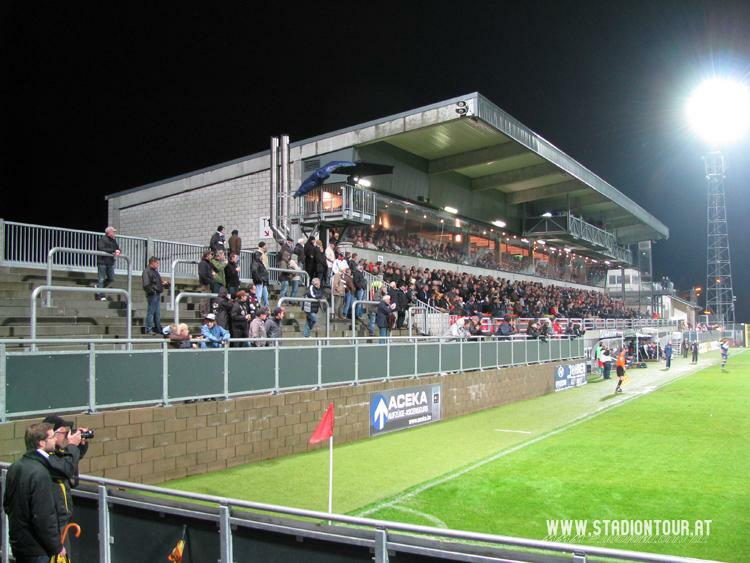 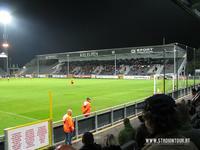 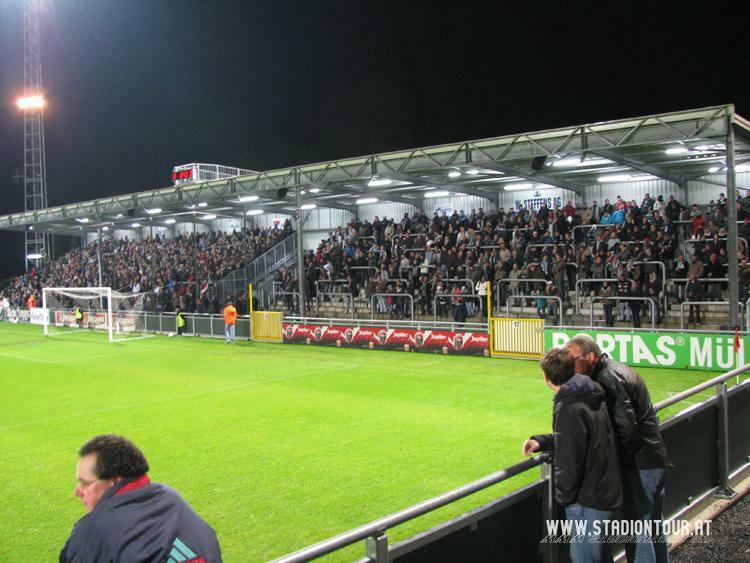 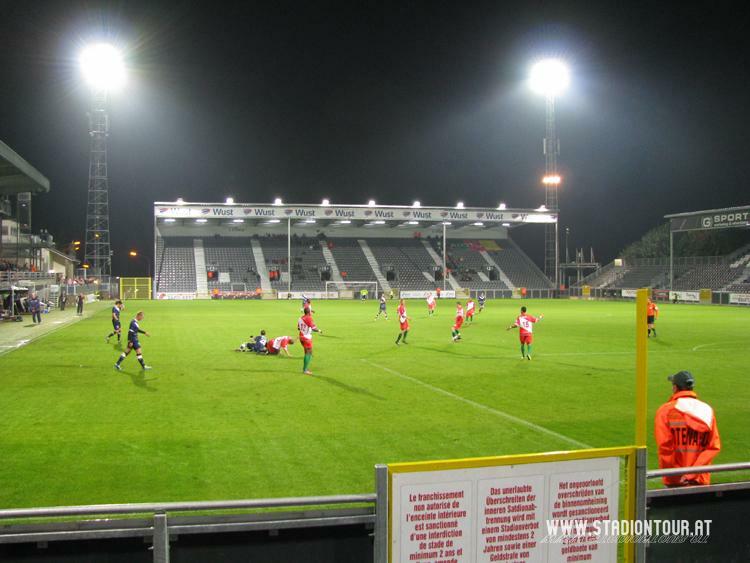 Built and owned by the municipality of Eupen, the ground went through major renovation in 2010, when KAS Eupen advanced to top tier of the league system. 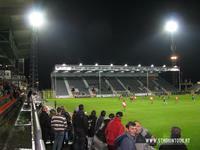 Though the club was soon relegated, floodlights and under-soil heating still serve players. Fans on the other hand received three new stands – simple steel construction, but it gives every supporter a seat and cover. 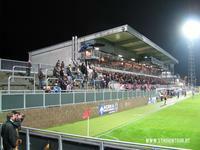 Only exception is one section of terracing created for the more vibrant fans behind one endline.